This is a link to an amazing article about a leader and a church family that has been seriously committed to giving themselves away since the 1940s. Worth the read for sure. Wanted to share this article that was sent to me by a friend. I thought it really captured some thoughts that we all should consider as we are being the church. Could our church shift from performance to mission? My first Sunday back from some time away, I sat in the worship service and wept. It struck me as such a production, so performance driven. In a word, it was shallow. I couldn’t believe this had happened on my watch. On the surface, all was well. I was a megachurch pastor with invitations to speak at conferences, write books, and mingle with dignitaries. Our church had state of the art facilities next to a major freeway. But that was on the surface. Deep down inside, I was mortified at what we’d become. We had to change. We just couldn’t keep going like this. Not anymore. When I arrived in Phoenix to lead 200-member Community Church of Joy, my whole desire was to reach people—really, at my core I am an evangelist. Any day that I get to tell someone about Jesus is a good day for me. I long to see those who aren’t following Jesus transformed by the Spirit of God into empowered disciples. Within a few years of assuming the helm at Joy, I was invited to a gathering of large-church pastors to dream about the future together. 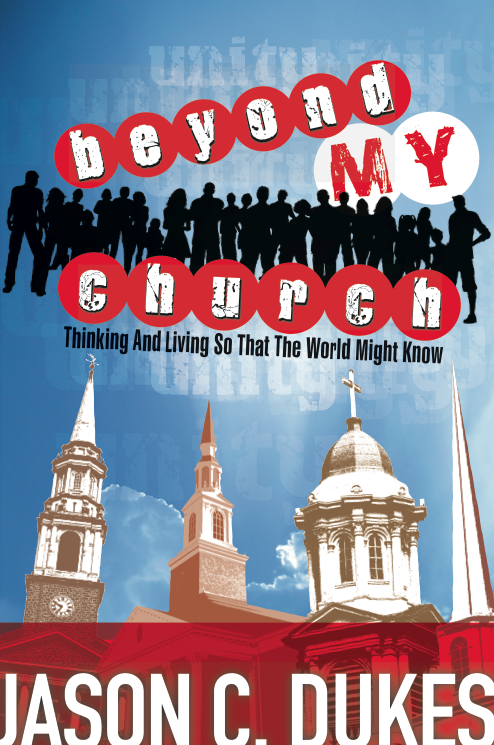 We envisioned what the church might 1ook like for a new generation. At the gathering, Bill Hybels, Rick Warren, and others exchanged ideas about how to build a church “for people who don’t go to church.” Like men of Issachar (1 Chron. 12:32), we understood our times, at least for the 1980s and beyond. We knew that people didn’t want to give anything, sing anything, or do anything—they wanted anonymity, not community. They didn’t want theology lectures; they wanted to be entertained and inspired. So we set out to give them exactly what they wanted. The concept came together for me while standing in a line at a Dallas Cineplex waiting to see the Batman premiere. The only way to capture people’s attention is entertainment, I thought. If I want people to listen to my message, I’ve got to present it in a way that grabs their attention long enough for me to communicate the gospel. It was an epiphany, a breakthrough understanding for me. So our church strategy revolved around the gravitational force of entertainment for evangelism. We hired the best musicians we could afford; we used marketing principles and programming specialists—for the gospel’s sake. Attendance skyrocketed. More people meant more staff, more programs, more facilities, more land, and of course the need for more money. We became a program-driven church attracting consumers looking for the latest and greatest religious presentations. For us, worship was a show, and we played to a packed house. We grew by thousands, bought more land, and positioned ourselves to reach even more people. Not that any of this is wrong in and of itself—people coming to faith in Christ isn’t bad. I told myself it was good—I told others it was good. But now I was beginning to wonder if I’d led my church down a wrong path. The show was killing me. Attracting consumers was consuming me—not in the way vision consumes a leader. It was the opposite of that—I was losing sight of the vision. Our church was a great organization. But something was missing. We weren’t accomplishing our mission; we weren’t creating transformed, empowered disciples. We’d put all our energies into dispensing religious goods and services. But our people weren’t touching our community. If our church, with its sheer number of people, was populated with disciples, we would be feeding the hungry, building meaningful relationships with neighbors, and transforming our community. But we were neither salt nor light. After pouring more than 25 years of my life into this church, I knew we weren’t developing disciples who were taking up their crosses to follow Jesus. We’d produced consumers—like Pac-Man, gobbling up religious experiences, navigating a maze but going nowhere in particular. Too many were observing the show but not meeting God. They meandered in and out of relationships but weren’t in real community. They sought their spiritual fix but didn’t give themselves fully to Christ. According to researchers, one million Americans each year have a heart attack. On January 7, 2002, I was one in a million. After a six-way bypass surgery, at the prompting of my board, I took time to recover and reflect. That’s when I realized we had a huge church, a thriving school, a pristine memorial garden, and an influential leadership center. We had it all, but in the process of getting it all, I’d lost the most important thing—my first love. The heart attack was a wakeup call for our board as well as for me; we came to believe that it would be a good idea to develop a succession plan, so I talked to colleagues around the country looking for an up and coming pastor I could hand the mantle to when I retired. One conversation stands out in my memory. That’s when it dawned on me. By the time we service the $12-million debt, pay the staff, and maintain the property, we’ve spent more than a million before we can spend a dime on our mission. At the time, we had plans for a spectacular worship center with a retractable roof. After that conversation with Brian, I scrapped it. I couldn’t shake that statement from my mind. I wasn’t sure what he meant, but I knew we needed to change. Could it be that our acreage, buildings, and budgets were interfering with the mission instead of accomplishing it? Why weren’t we producing empowered disciples? What were we missing? I spent the next three months on a sabbatical, rekindling my love and intimacy with God and seeking answers to those questions. I wasn’t seeking a new technique or a new way to do church, as I’d done years earlier. Now I was desperate to feel the breath of God on my soul and for him to either affirm or reject the path we were walking. My wife and I prayed and fasted and passionately pursued the heart of God: God, we have to hear from you. We’re desperate. We prayed. We talked to other Christian leaders. We made pilgrimages to churches that were creating empowered disciples. Most of them were emergent or missional churches, but others were mainline churches, like St. Thomas Church in Sheffield, England, an Anglican church with charismatic leanings. At St. Tom’s, we saw God move in apostolic ways—the blind were healed, the lame walked, and people worshiped with their whole hearts. There was fire and passion—it wasn’t a performance—none of this appeared to be for the benefit of the audience. I noticed the same thing at Rock Harbor in Newport Beach, California. People weren’t spectators; they were fully engaged in worship. Some were clapping and raising their hands; others were on their faces before God. It reminded me of King David dancing before the Lord, worshiping God with every part of his being. I witnessed raw, unscripted, genuine movements of God. Their worship wasn’t something that began at 8:30 and ended by 9:30. It wasn’t a way to attract people to the church. Their worship was inspired—God-breathed—it inhaled God’s presence and exhaled His will. These people weren’t attending a show; they were crying out to God, seeking him wholeheartedly, and left their gathering to involve themselves in community transformation. We didn’t need to tweak our methodology, we needed a modelectomy. If we were going to transform our people from consumers to empowered disciples, we needed radical changes. After taking them through my sabbatical journey, I waited for their response. One by one, each of the seven elders affirmed that we needed to move from the attractional model to a discipleship model. The vote was unanimous, and we began in a new direction. This wasn’t incremental change. It was immediate. We released all the paid performers and began to use volunteers with a heart for God to lead worship. We no longer asked musicians to dazzle us; we wanted worshipers to lead us. The crowds, who were expecting a show, went elsewhere. Before the exodus, we were 12,000 strong. During the exodus, we lost a third of our congregation. It not only gutted our church, it devastated me. I’d look out over the empty seats and try to count, assessing the damage. Then I’d lose track. As I would start over, I’d hear God say, You are dishonoring me right now by doing that. Worship me. Enter into my presence. I’m present. It’s about me. It’s not about attendance figures. Like the Civil War, this change divided families. Some stayed, and some left. It was heart wrenching. Pruning is painful. But pruning is also healthy. As the spectators went out, true worship came in. At one of our first gatherings, I read Peter’s sermon on the Day of Pentecost from Acts 2. I summed up the Scripture by saying, “Believe. Be baptized. That’s what God says. Anybody want to be baptized?” Those dozen or so words were the extent of my sermon. That day over a hundred people gave their lives to Jesus, and we baptized them on the spot. A new model meant we had to redefine what a “win” looks like. If we continued to use the same measuring stick for success, we were utter failures, especially since our attendance and the quality of our worship service sharply declined. Honestly, those things still matter to some extent, but they aren’t as important to us as producing empowered disciples. What does it profit a man if he builds a great church but loses community? Instead of just counting the people and the offerings, now we look for evidence that people are breaking out of their private, cocooned lives and are fully engaged with God and serving him. We want them to do more than grab a cup of coffee in the lobby or meet someone new during the worship gatherings. We want them to go deep with one another. To be 3:00 a.m. friends—the kind of people others could call if they had an emergency. We encourage them to have a mentor and to be a mentor. Some of our people began house churches. Mike and Kim launched a “Taco Church.” The people worship together in their taco shop, and then share a meal together. Having church in a taco shop makes fellowship time easy, but it doesn’t lend itself to baptismal services very well. When they need to baptize, instead of taking the converts to Joy, Mike and Kim borrow the church’s portable baptistery and fill it with water from their hot tub at home. Not exactly the most efficient way to do ministry, but that’s the way marketplace ministry is. While inviting members to leave our church to start a Taco Church doesn’t increase our attendance, it does expand the Kingdom and fulfills our mission of equipping empowered disciples. This isn’t social networking; it is ministry. Some will branch out and begin churches like Mike and Kim did, but even if they don’t, we expect them to be actively ministering to one another’s needs, even in life and death situations. Before, the staff worked in a high control/low accountability environment. We controlled the programing and the people came if they wanted to come. The people had very little control and because of that, they had very little accountability. Now it is low control/high accountability. We have less control but hold the people accountable to transform their community. I didn’t go to the hospital to minister to Lee’s grandson; Lee did. Instead of controlling the ministry, I held Lee accountable to minister to his community and gave him the tools he needed. Lee went to the hospital to be a priest to his own family. “Hold still, son. Grandpa is going to pray for you,” he said. The boy watched his grandfather’s trembling hands take the lid off the container, and listened to him pray. “I ask in Jesus’ name that you heal my grandson,” Lee prayed, and then he placed a drop of oil on the boy’s forehead. Thirty-six hours later, his grandson returned home. Today, that’s how we define success. One changed life and one empowered disciple at a time. Walter Kallestad is pastor of Community Church of Joy in Phoenix, Arizona. Copyright © 2008 by the author or Christianity Today International/Leadership Journal.